Give em the old switcharoo! So you need a switchNES? What you'll need: A philips head screw driver, a light switch, light switch cover, some wire strippers (a knife will work), a dremel tool (with cut and grind extensions), a grinder (optional), electrical tape, drill (or similar hole-creating instrument), hobby glue, two small nuts and bolts (ones that fit through the openings in your switch cover), and oh yeah, a banged up NES you're looking to give a new lease on life. 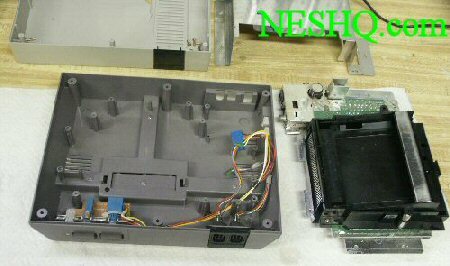 Step 2: Go ahead and disassemble the rest of the NES so that the two shells are seperate. The bottom shell should still have the controller ports and LED/reset/power circuit board. Step 3: Unscrew the LED/reset/power circuit board. 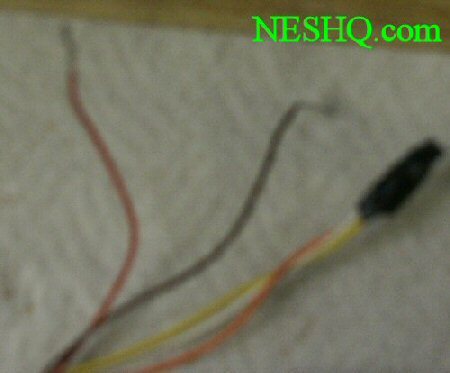 There is a bundle of wires that connects the LED/reset/board to the NES mainboard. Use your handy-dandy wire cutters to clip the wires seperate from the blue adapter that plugs into the LED/reset/power circuit board. MAKE SURE YOU CLIP THIS END AND NOT THE END THAT CONNECTS TO THE MAIN BOARD! Now, strip half an inch off of the red and brown wires. Wrap the other three wires with electrical tape and then tape them together. After you finish this extremely long step that should have been two or three steps you should have something like the picture below, but not quite so fuzzy (otherwise go see an eye doctor... har!). Step 4: Hold your light switch cover over the front of your NES, trying to center the cover over that little plastic strip between the reset and power buttons. 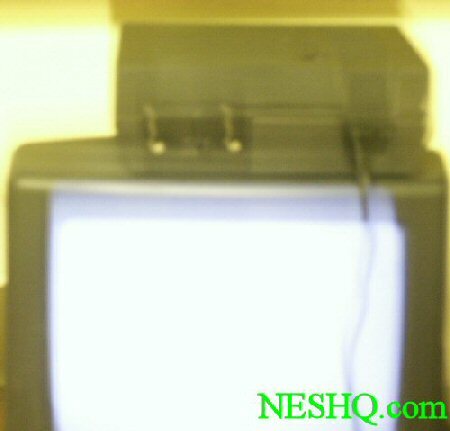 Notice how your light switch doesn't quite fit on the NES? No problem, that's what the grinder is for. With the light switch in place take a marker and mark where the two holes go on your NES. Now drill those two holes (you won't see these on the picture below) - this is where the screws will go. Now, with that out of the way you need to make a hole large enough for the face of the switch to poke through, so break out the dremel and using the cutting and grinding extensions, make a hole big enough for the switch. You can see mine in the picture below. Don't worry if it's a little crude, this will be covered up by the switch cover. Step 5: Easy step, woohoo! Sand both shells of the NES to get them ready for painting. 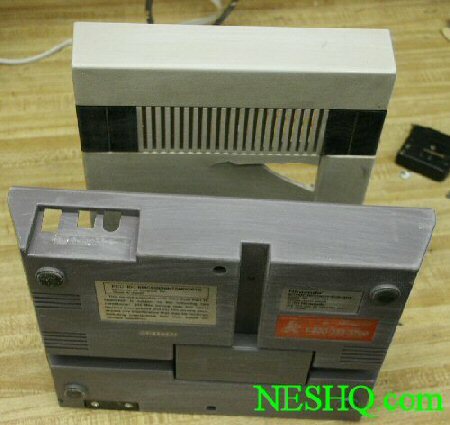 Sand your NES well so it looks like the picture below (perferrably without a gaping hole in the top half like mine has). Step 6: Go ahead and grind your switch cover to the desired size. I chose to grind mine down just small enough so it wouldn't hang off the bottom or prevent cart insertion in the top. You, however, can grind it to whatever shape/size you desire just so long as it covers the hole you dremeled (I think I just made up a word). Now, with your cover ground down to a good size use the hobby glue to glue the cover and actual switch together. Once the glue has settled you can attach the wires to the switch. Now put the whole switch/cover assembly into the NES and attach it with the nuts and bolts. 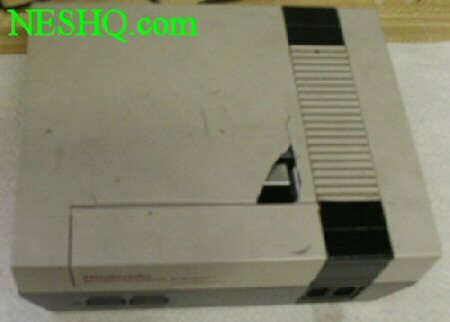 Step 7: Reassemble and paint your NES desired color. Easy enough, right? Step 8: Enjoy. 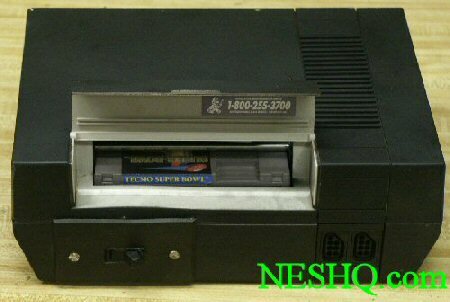 Sorry for the bad pictures but as you can see, Tecmo Super Bowl got the honors of being the first game played on my new switchNES. Closing notes: This guide is intended as a guide, and doesn't give exact specifications for things like what wire strippers should be used, what size nuts and bolts, etc. Most of those things are found pretty easily. As you can see from the finished pictures mine came out pretty well but could have been better. Simply put, the more time you spend on this the better it will come out. If you take extra time to cut the switch hole, grind the cover, and paint the NES it will come out much cleaner and look a lot better. 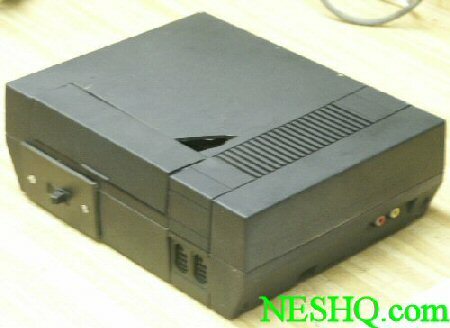 If you're going to spend all this time on modding your NES why not do it right? Hope this guide helped and maybe inspires people to make more cool mods. If any particular part of this guide is ambiguous or you need help making your switchNES feel free to e-mail me.